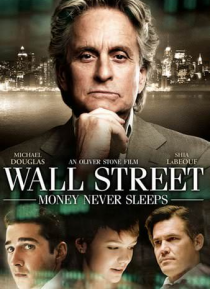 Following a lengthy prison term, Gordon Gekko (Michael Douglas) finds himself on the outside looking in at a world he once commanded. Hoping to repair his relationship with his daughter, Winnie (Carey Mulligan), Gekko forges an alliance with her fiancé, Jake (Shia LaBeouf). But Winnie and Jake learn the hard way that Gekko is still a master manipulator who will stop at nothing to reclaim his righ… tful place at the top of Wall Street.